Sign language was included as a subject for the first time in the 2018 National Senior Certificate exams, in what the Dominican School for the Deaf described as a major victory for the deaf community. South African Sign Language (SASL) was recognised by the Department of Basic Education as an official home language in 2018. 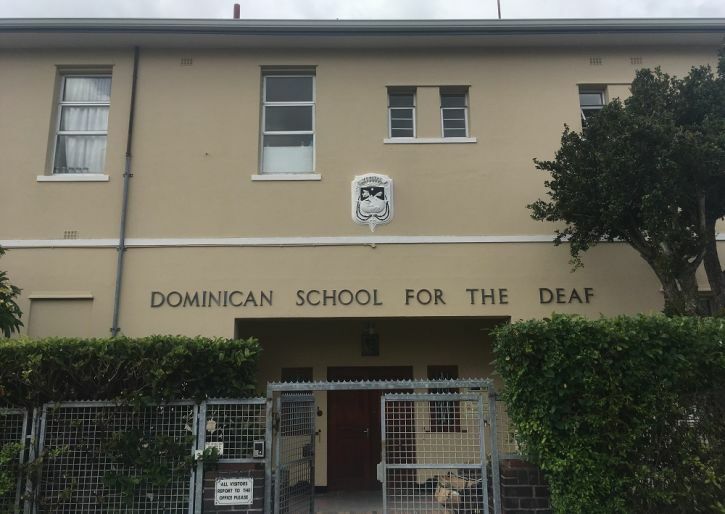 According to Cindy Rutter, the principal at the Dominican School for the Deaf in Wynberg, four learners in the Western Cape took the 2018 sign language exam. For the final exam in sign language, learners worked in closed-off booths where they watched questions in sign language then video-recorded themselves signing answers. “They watch the question, sign the answer and then file it [on the laptop],” said Rutter. She said a challenge implementing the new policy was access to resources. This was the first time students were studying SASL as a home language, so there were no textbooks on sign language as a home language, or former students who had studied SASL in high school, to draw on. Everything had to be developed from scratch. Rutter said the curriculum was limited but would develop. Among the resources to be developed were deaf poets and storytellers recording their stories for deaf learners to study. Rutter stressed the importance of language as a tool for empowerment and inclusion. She said the recognition of sign language as a home language for matric put “a minority group on the map”. More training and qualified educators were needed; Deaf people should be included in the development of the language and policies; and SASL needed its own curriculum, instead of copying the English curriculum. According to SANDA, there are over four million deaf and hard-of-hearing (partially deaf) people in South Africa. It has been republished with minimal editing.